This piece is part of an in-depth series on Women at Work . For regular updates on gender issues ‘like’ our Facebook Page and sign up to The Gender Agenda weekly email digest. In 1908, thousands of women took to the streets of New York City to demand better pay, shorter working hours and improved working conditions. International Women’s Day was born. We’ve certainly made a lot of progress since then. 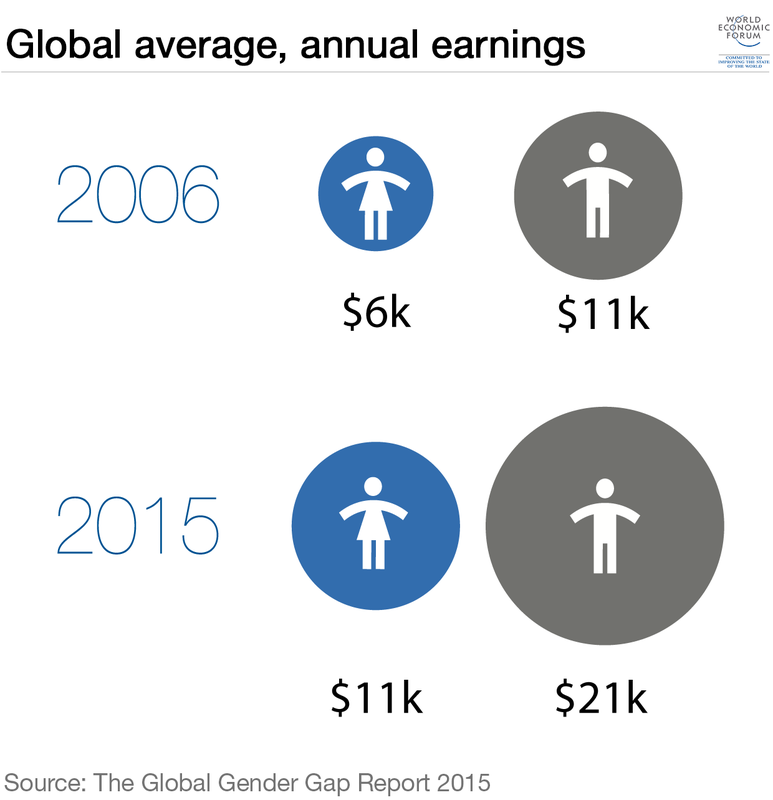 But as our blog series on women and work has shown, there’s still a long way to go. If there’s one thing the authors in this series agree on – whether they’re male CEOs or female academics – it’s that there’s both a moral and business case for gender equality at work and beyond. Why, then, is change so slow? Because the causes are far more complex than anyone previously thought: unconscious (and sometimes conscious) bias, self-sabotage, confidence gaps, workplace cultures, to name just a few. Anyone wanting to get their head around this has their work cut out. Which makes the task of putting together a reading list on the topic rather a complicated one. Can a handful of books ever provide anything more than an overview? No. But you’d be surprised how much we can learn from some unlikely sources. She’s the first lady of US comedy, “an unyielding woman who has forced her way to the top of what is usually a man’s profession,” according to her New York Times book review . 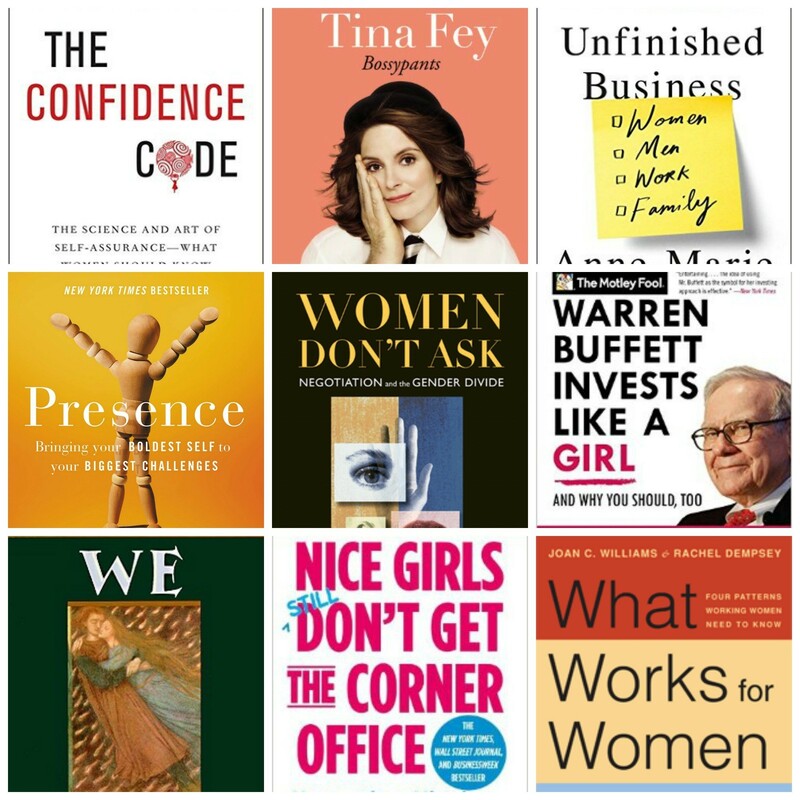 And that’s why, though it might seem like an odd choice, Bossypants is essential reading for anyone seeking to understand women and the world of work. It’s not normally a compliment to be told you do anything “like a girl”. This is the exception to that rule. For years industry experts have sought to understand the secret to Warren Buffett’s success as an investor. According to Lofton, it’s because Buffett has all the qualities scientific research suggests female investors also display: he is calm, disciplined, patient and realistic. While women might be more risk-averse and cautious – two character traits that are often under-appreciated in the office – “men tend to be more overconfident. They think they know more than they do,” Lofton told Forbes . Even if this book doesn’t teach you how to invest like a pro, it might make you question some of the attributes we tend to value at work – and appreciate those we often overlook. Continuing with the idea that your gender influences your character traits, world-renowned psychologist Robert Johnson looks at how certain universal qualities have come to be defined as “masculine” (power, control) or “feminine” (love, empathy). And we’ve been taught to value the masculine ones, especially in the world of work. But unless we all learn how to appreciate and tap into both, our relationships – personal and professional – will suffer. For Whitney Johnson writing in the Harvard Business Review , it’s the first book any aspiring leaders should read. Imposter’s syndrome – that nagging feeling that no matter how qualified or experienced you are, you’re not quite up to the job – doesn’t discriminate based on gender, but research suggests it’s more common in women. Step in Amy Cuddy, a Harvard Business School professor best known as the woman behind the second most viewed TED talk , which looked at how our body language affects confidence and performance. You don’t ask, you don’t get. And it turns out men ask a lot more than women: “Whether they want higher salaries or more help at home, women often find it hard to ask. Sometimes they don't know that change is possible – they don't know they can ask. Sometimes they fear that asking may damage a relationship. And sometimes they don't ask because they've learned that society can react badly to women asserting their own needs and desires,” the authors write . It could go some way to explaining the persistent gender pay gap, which Forum research suggests could take up to 118 years to close. Success at work is about more than competence – it’s also about confidence. And all the research shows there’s a big gender confidence gap: “Compared with men, women don’t consider themselves as ready for promotions, they predict they’ll do worse on tests, and they generally underestimate their abilities. This disparity stems from factors ranging from upbringing to biology,” the authors wrote for the Atlantic . Kay and Shipman interviewed some of the world’s top psychologists and leaders from politics, sport, the military and the arts to come up with a practical guide on how women can overcome these self-doubts and boost their confidence at work. Do you prefer to play by the book? Do you smile a lot in the office? Do you ask permission rather than tell people what you’re doing? Then you, like many women, might be unwittingly sabotaging your career. Frankel is quick to point out that she’s not seeking to blame women for their behaviour , or force them to change how they act. But if they can better understand what sort of messages their unconscious behaviour sends out, they can get ahead in the workplace. Slaughter takes a different approach to Frankel’s: it’s not women who must adapt to the workplace, changing the way they behave to increase their chance of success. It’s the workplace that should. “Perhaps the problem is not with women , but with work ,” she writes in her book. Until it does change, the dream of gender equality will remain just that. Her message has resonated with both men and women. “ Unfinished Business sets out a powerful vision not just for gender equality, but for the future of work,” Eric Schmidt wrote. Of the countless barriers women face in the workplace, this mother-and-daughter duo believe all can be loosely divided into four patterns of bias that repeat themselves: the need to prove oneself repeatedly; the “tightrope” women leaders must walk between being liked or respected, but never both; the “maternal wall”, where a working mother’s commitment to the job is called into question; and the tug of war, where the different attempts to deal with the three other types of bias fuel conflict among women. By learning to recognize the patterns, women can start to understand that their setbacks are not personal – and follow the strategies outlined in the book for overcoming them.